This is the 3rd post in a blog series entitled 10 Recipes 10 Weeks. So I have seen great pictures of these on Instagram and have always been intrigued. I didn't have a cast iron skillet (until last week*) so I had never been able to try them. What I found out was that this recipe is actually so easy. Even though it looks like a big beautiful soufflé, you just spin the ingredients around in a blender. They are served pretty plain with powdered sugar, butter, and lemon juice. It tasted great that way, but I would definitely add fresh berries or a berry sauce next time. This is a great sweet item to serve at brunch for you and a few friends. I based my recipe off of Martha Stewart's. Preheat oven to 425 degrees with oven-proof skillet inside. Takes about 8-10 minutes. 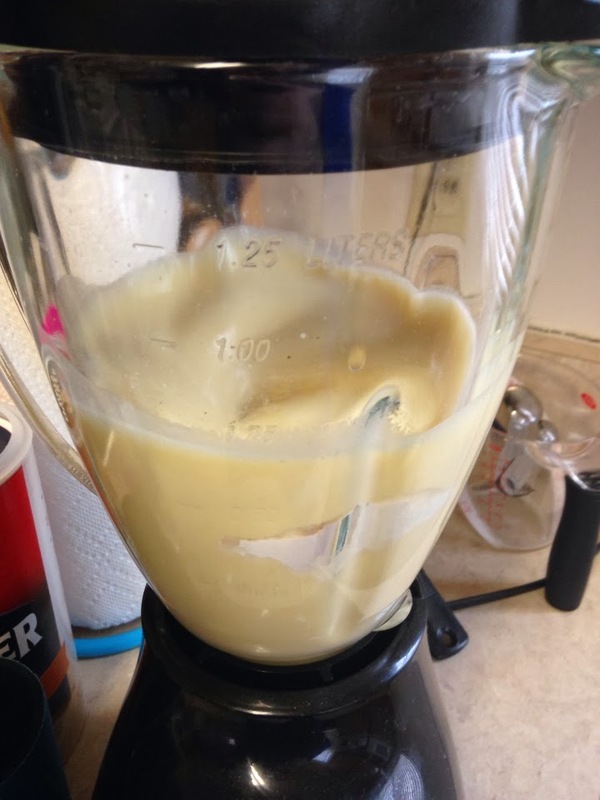 In a blender, combine eggs, milk, flour, salt, vanilla, cinnamon, and sugar. Blend for 1-2 minutes, until it starts to get foamy. Carefully take skillet out of the oven. Add in 2 T of butter until it melts, swirling to coat the pan. Add the blended ingredients to the pan and return to oven. Cook for about 20 minutes. 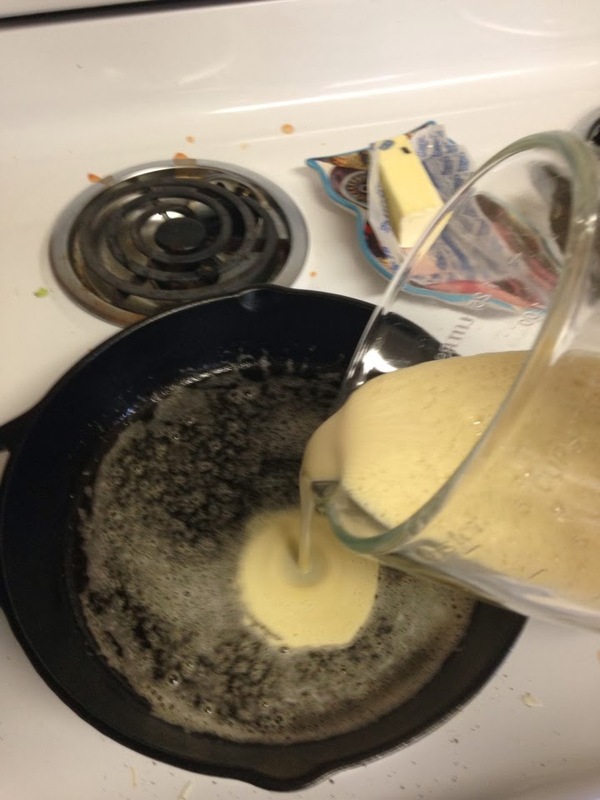 During that time the pancake should puff up. Make sure not to open the oven during this time. Remove from oven when lightly browned. Quickly add 1T butter, lemon juice, powdered sugar and serve. *I kept seeing too many good skillet recipes and decided to invest in my own. 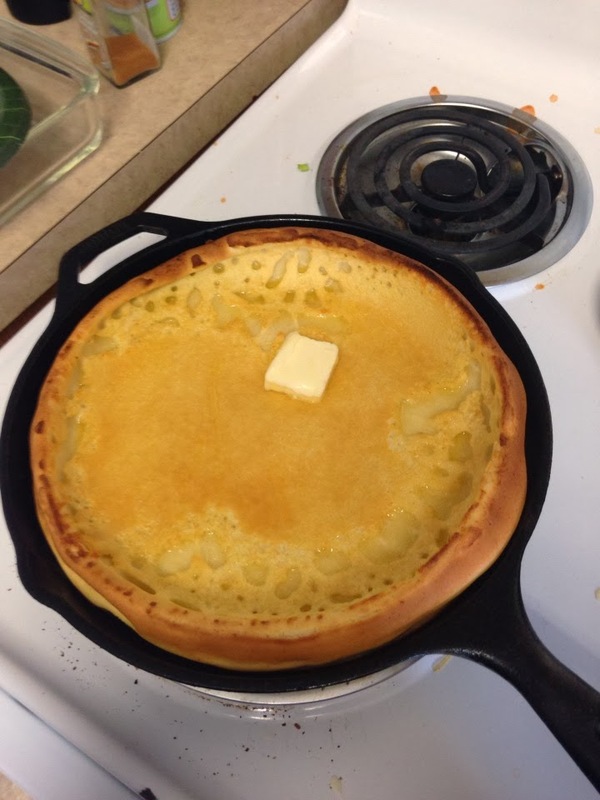 I bought a 10.25 i.n Lodge pre-seasoned skillet for around $15 + s&h. I used it a few times before this recipe to make sure it had some more seasoning. Make sure to check out Lodge's website for proper care instructions. Blend flour, sugar, vanilla, cinnamon, salt, and eggs in a blender. 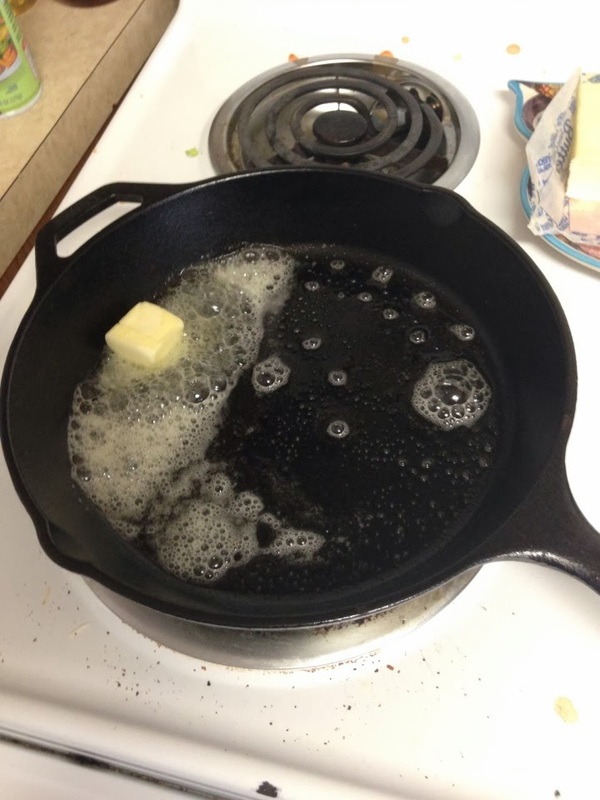 Melt 2 T butter in hot skillet. Add batter to skillet and put in oven for 20 minutes. 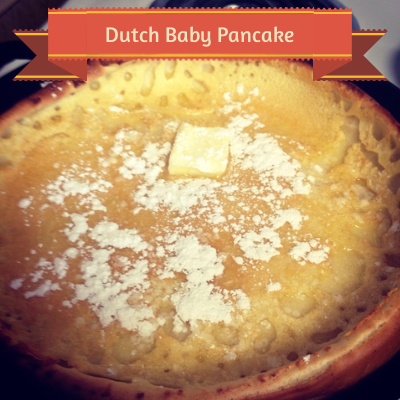 Beautiful and yummy baked pancake. This will be my only post for the week because I'm going to catch some sun. See what I'm up to on Instagram.